A North Michigan winter is like no other. 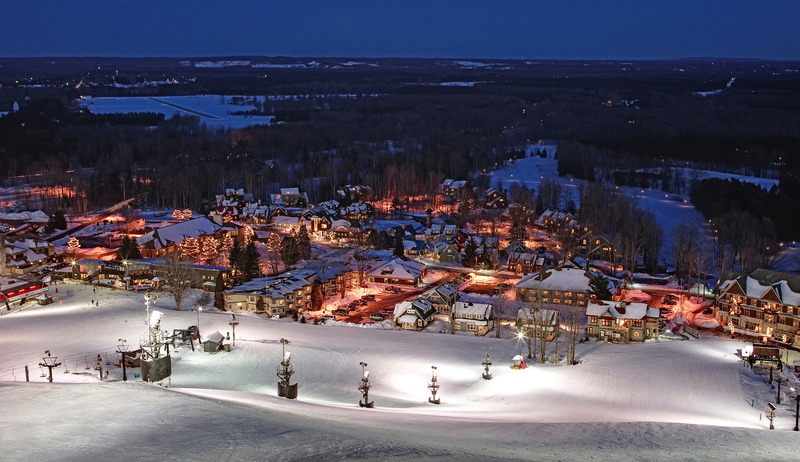 On a rise above the Betsie Valley, and a short trip away from massive Lake Michigan, is Crystal Mountain, a favorite among Midwest skiers and riders. 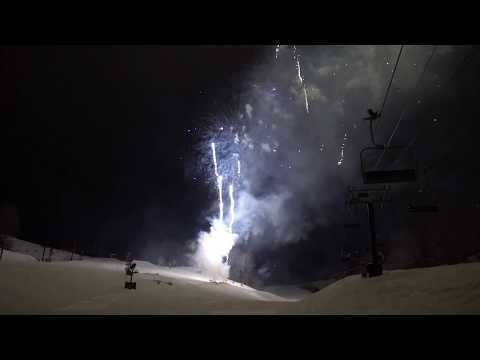 Crystal is a family-owned and operated ski resort and they work hard to keep guests coming back. Trails and a small stream meander through the village, while the Scottish-themed Kinlochen Lodge looms over the golf course and ski runs. Snowboarders are welcome everywhere on the mountain and there are special terrain features that keep it fun whether you're sliding on one board or two. Crystal Mountain has terrain to suit all ability levels from avid skiers to seasoned snowboarders. The ski area is home to 58 downhill trails with a good mix of beginner to advanced terrain. The ski area is also host to cross country skiing and provides over 25 kilometers of groomed cross country trails. The resort contains wide open groomed slopes connected via a modern chairlift system. The village has multiple lodging, dining and shopping options to explore. The resort also offers over 80 acres to explore with snowshoes. Crystal Mountain provides downhill, cross country, and snowboard lessons for individual or groups. The ski area has an excellent children's ski program for ages three and up. Ski shop, ski tuning, nursery, restaurants, pub, shopping 10 miles away, hospital 18 miles away, and rentals. Get Snow Reports, Powder Alerts & Powder Forecasts from Crystal Mountain straight to your inbox!